Most remarkably, the Verse of the Day was among the scriptures used in yesterday’s “Quote of the Day” which talked about discovering and doing the will of God. The Verse of the Day also brings to mind Psalm 37:4 (NLT) where the Psalmist encourages believers to take action, and there will be a corresponding action on God’s part. The expression to “take delight” or to “have pleasure in” brings to mind the first poem that I wrote, which turned out to be a rather accidental (providential) occurrence. In 1961 as a pre-pharmacy student at Purdue University, I was enrolled in a freshman composition class and recall that I was asked to write a response to this prompt: “May I Tell You What Delights Me?” I made a list of items that brought me pleasure, and when I read what I had written to the class, my professor described it as poetry. Years later I realized that I had written a free-verse, catalogue poem, in the style of Walt Whitman. Near the top of the list of sources of delight for me was the Book of Psalms. After fifty-five years, I still find great pleasure in the Psalms which continue to be a sources of absolute delight. The difference is striking, indeed. The ways of God are righteous altogether; whereas the way of man are wicked and unrighteous. The Verse of the Day from Isaiah 55 encourages the people of God to turn from their own unrighteous ways and follow the ways of God who is rich in mercy and who will abundantly pardon. In one of a series of posts on the will of God, I spoke of the will of God as path that believers should ever seek to follow. To follow the will of God is to decide which path we are going to take. Many times it is easier to follow our own path and seek our own way rather than God’s way or God’s will. Like the Psalmist, we should choose to follow the path of truth, and when we choose to follow that path, we take comfort in knowing that as for God, His way is perfect. The following poem also provides assurance as to where the path that is the will of God will take us. A measure of our inheritance laid in store. To see what jewels of knowledge their searching may bring. Where God freely pours out His spirit upon all flesh. As mysteries unfold, we see just how vast they are. As we know Him intimately, not from afar. As we explore afresh the mystery of His will. When I located this poem, I noticed the date on which it was originally written: November 6, 2009. When I included the poem in my entry a year ago, I did not notice the date. The phrase from the New Living Translation also comes to mind: “. . . at the right time. . .” I smiled as I noticed this providential intersection of time. Indeed, it is God’s good pleasure to make known His will to those who diligently seek to find it. 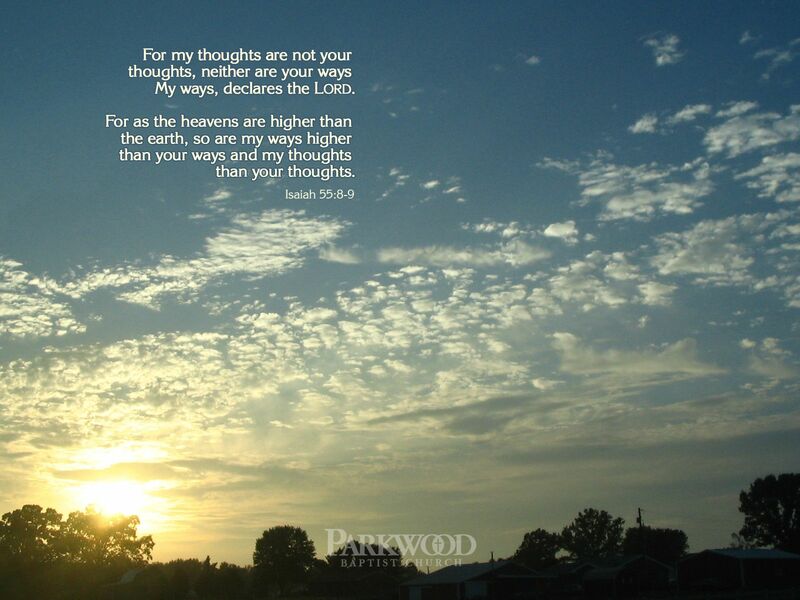 These verses point out the distinction between the thoughts and ways of God and the thoughts and ways of people. In previous blog entries, I discuss the term “way” which in the Old Testament is translated from the Hebrew word derek, meaning “way, road, path, distance, journey, manner.” It is also referred to as direction, manner, habit, way of life, a course of life or mode of action, a lifestyle. The expression “the ways of God” also brings to mind another blog entry in which I discussed “The Will of God,” using the analogy of the will of God being a road, a path or a way, looking at the Hebrew word derek which is translated “way, road, path, distance, journey, manner.” It is also referred to as direction, manner, habit, way of life, a course of life or mode of action, a lifestyle. Now I’m walkin the path of truth. I begin again this year of my jubilee. To choose to serve, even though having been set free. I press on while still striving toward the highest good. I see clearly with new eyes where our paths have led. Proving that good and acceptable and perfect will. I look back, waiting in the now, then look ahead. The choice to do God’s will makes all the difference. That the will of God is the road less traveled by.traight and narrow way I once again select. For it is God’s will and intention that by doing right [your good and honest lives] should silence (muzzle, gag) the ignorant charges and ill-informed criticisms of foolish persons. The Verse of the Day leaves no doubt as to what is the will of God. Two other verses in 1 Thessalonians also clearly reveal the will of God. 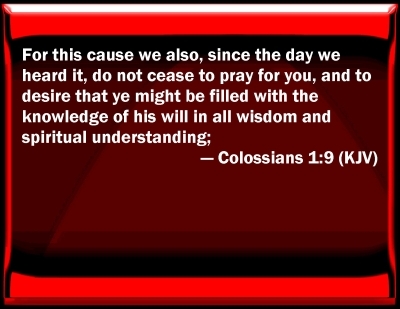 I rejoice to find, to know, to do the will of God. 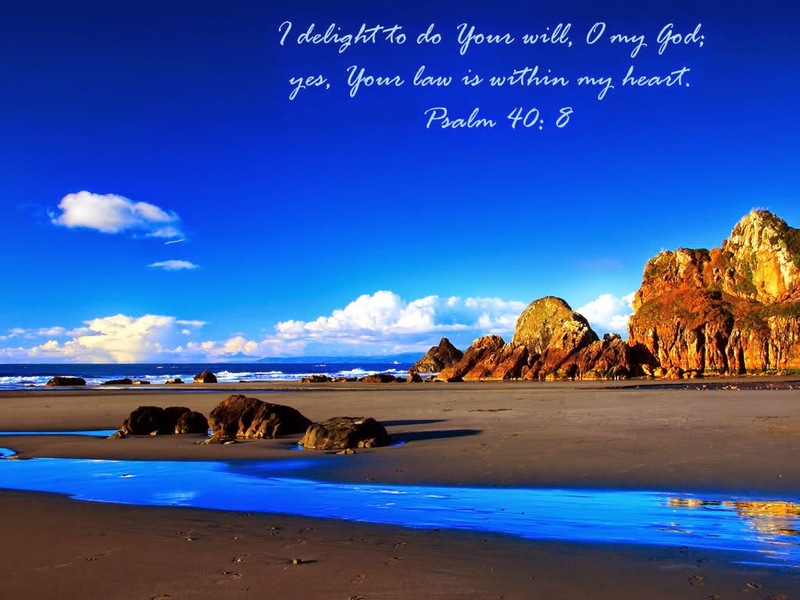 A song connected to this particular poem is written by Deb Zemke; “His Will” is played and sung by Robert Jason. Reflecting on the “The Will of God” is a great way to start the day. Where You freely pour out Your spirit upon all flesh. As Your will unfolds, we too see just how vast You are. As we know You intimately, not from afar.